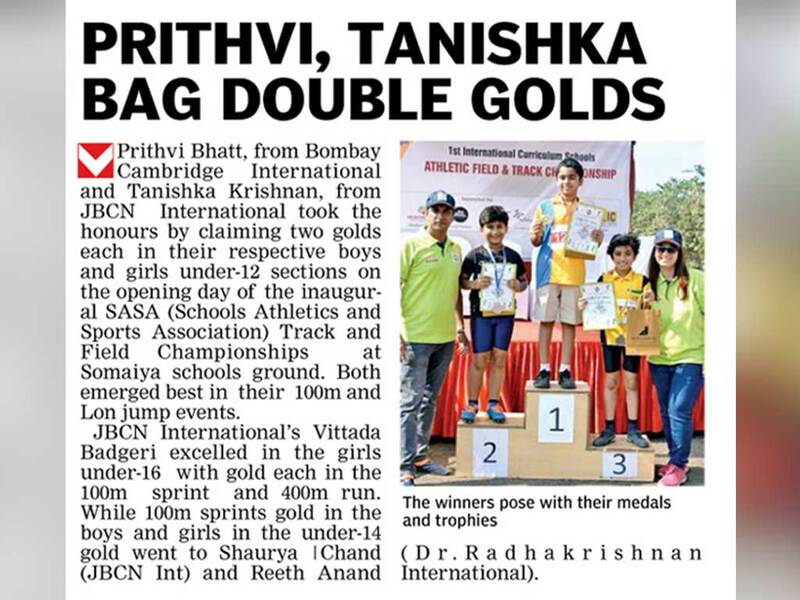 JBCN, Parel shines at the School Association of Sports & Athletics (SASA) Track and Field Championship! 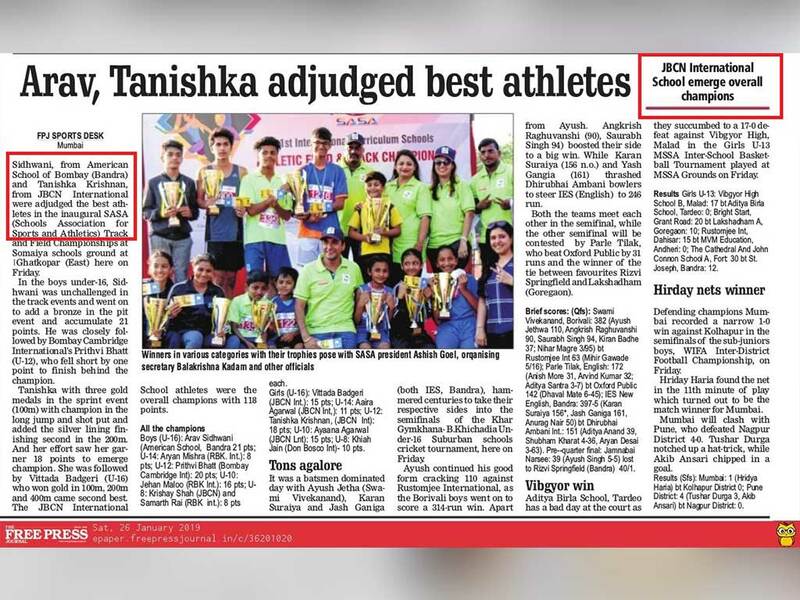 It is with great pride to inform that our learners participated in the School Association of Sports & Athletics (SASA) Track and Field Championship on 23rd and 24th of January 2019 at Somaya Schools Ground at Ghatkopar and came back bearing many laurels. The learners won 13 gold, 9 silver, and 6 bronze medals and were awarded the Champions Trophy with maximum score of 118 points. 6 of our learners also won the Individual Championship award. We wish they achieve greater heights with their hard work and passion!